The impressive, purpose built performing arts facility Te Whaea: National Dance & Drama Centre is home to the New Zealand School of Dance. Located on Wellington’s green belt nature reserve, five minutes drive from the heart of the city, Te Whaea is architecturally designed, with large spaces and high ceilings contributing to an exhilarating atmosphere. The centre includes nine fully-equipped studios, design and costume workshops, lighting and AV studios, cafe and student common room, student computers and wi-fi, a 180 seat theatre and New Zealand’s foremost performing arts library. Te Whaea, pronounced ‘teh fire’, means ‘the mother’ in Maori. 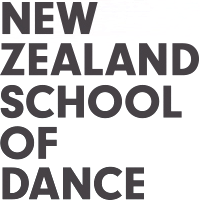 The New Zealand School of Dance shares these premises with Toi Whakaari: NZ Drama School. The two schools operate independently but collaborate in a number of ways.